If you look at the statistics just released by the Silicon Alley Insider comparing viewership of video across the major cable networks vs. Hulu you will see that, in the month of July, Hulu beats Time Warner Cable in the viewership deptartment (chart below, ComScore Release). However, numbers can be deceiving as Fast Company points out. 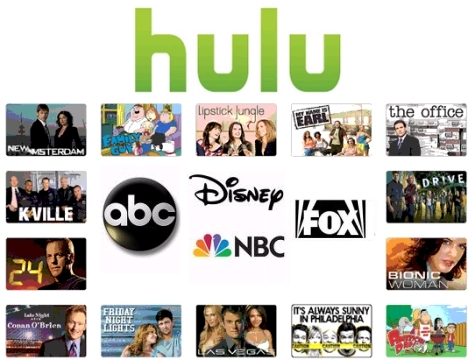 Hulu clearly has a ways to go before it reaches the profitability level of a major cable network – however what video platforms on the Internet such as Hulu, YouTube, Vimeo and others are showing is that there is an attitudinal shift with viewers in how they consume their video content – the TV doesn’t always win. We’ve been watching the shift to video on the internet with great interest over the last couple of years. YouTube, being the only initial option, was strong out of the gate but was quickly tested by the likes of Google Video, Vimeo, MetaCafe, and the networks. Then came Hulu. Hulu’s advantage? A central destination for great programming where their users can watch their favorite shows on their schedule – wherever they are. Miss an episode on TV? Head to Hulu and view it 6 hours after it has first aired. They’ve made brilliant strategic partnerships with most of the major broadcast networks and movie studios. In doing so, they have aquired a vast library of enticing content to serve their user base. Hulu changed the game yet again yesterday - adding ABC/Disney to the porfolio to expand their offering tremendously. NBC, Fox, and now ABC/Disney understand the strategic advantage of serving their content through their network sites AND aggregating through a service like Hulu. CBS, when do you plan to join the party? This type of competition can only mean good things for us, the customer. In what seems like a recent flurry of activity, we are seeing the major players in the streaming video marketplace positioning themselves for what is turning into a good fight for eyes on their content. Alliances are forming quickly this year, with Disney/Hulu and Blockbuster/TiVo leading the news near the end of March and YouTube/Sony and Netflix/MTV both releasing their big news in early April. We, as consumers of this content, have more and more options moving forward when choosing what to watch, and how to watch it. Will this impact people subscribing to cable or satellite programming? I think so…and so does the New York greater metropolitan area. Still a cable subscriber or do you watch your shows online? The Networks (CBS, NBC, ABC, and Fox) have been streaming their program lineup online for some time now. NBC’s HULU combines current shows with favorites from our past, including a limited selection of full movies. When I travel and can’t wait to watch a show that I have DVR’d at home – I’ll tune in online and get my fix. In the Big Apple there are plenty of folks that are ‘cutting the chord‘ completely to save money during this rough economic time… If it weren’t for live sports, I might think about doing the same. Can’t live without my SportsCenter!